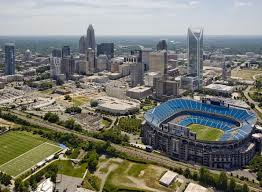 Fall is a great time to visit the Carolinas and Charlotte, NC has a packed schedule of festivals and events to keep you busy! It’s a great place to start or continue your Travel career. Fun fall activities include Art and Jazz Festivals, a BBQ Championship, Food Truck Festival, NFL Football games and a 4 day Fall Auto Fair at the Charlotte Speedway so there is something for everyone! Traveler friendly hospitals – Travel RN and Allied Job Openings in Multiple Specialties!! Give us a call today!